Those results have allowed Atletico Madrid to cut Ernesto Valverde’s side’s lead at the top of the table to seven points, with the clubs due to meet at the Camp Nou early next month. Barca’s advantage is still significant, and they have no major injury worries, but the danger is that the return of the Champions League is a distraction for them. The Basque side, though, have lost just once — a narrow 1-0 defeat to Atletico — since the start of December, and are in contention to qualify for Europe. “We have been playing well for the last two months and getting good results, but we know what we have in front of us on Saturday,” warned their coach Jose Luis Mendilibar, once a colleague of Valverde’s in their playing days. Atletico host Athletic Bilbao on Sunday and will be hoping to have Diego Costa back after the striker sat out the Europa League trip to Copenhagen. Real Madrid, meanwhile, travel to Seville to face Betis hoping to build on their fine Champions League win against Paris Saint-Germain. Zinedine Zidane’s side are still fourth in the table behind Valencia — who go to Malaga — but they have taken 10 points from the last 12 available in the league. Aged 24, Loren has enjoyed a remarkable introduction to the elite. Promoted by Betis from their B team to the senior side, the forward netted twice in a win over Villarreal on his debut a fortnight ago and followed that by scoring the only goal in the victory at Deportivo last Monday. Born in Marbella, his journey to the top has not been a typical one. The son of a former Sevilla player, Loren even dreamt of doing something more stereotypically Andalusian. “I wanted to be a bullfighter, but the first time I stood in front of a cow I decided that I had to stick to football,” he told Cadena Cope. On Sunday, he comes up against Real Madrid. 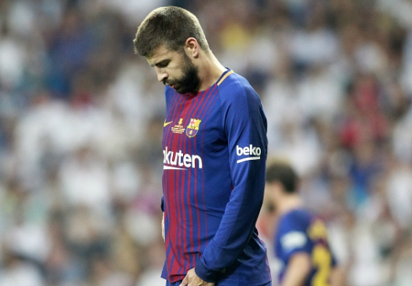 The post We will need to proceed with caution because… – Gerard Pique appeared first on Vanguard News.